imwellconfused.me.uk: Dial A Smile with Bravery Boxes. Dial A Smile with Bravery Boxes. Not all of you would have heard of Bravery Boxes, I admit until a few months back I hadn't either. But thanks to some amazing ladies organised a bravery box or two for Blog On MOSI I discovered how special and important the boxes can be. ensuring a child who's scared of a treatment or painful procedure will have their spirits lifted by a small treat. I hear the whoopee cushions and nail varnish are highly desired and appreciated. While it's a pocket money treat it's usually enough to bring cheer to those little people who need it the most. 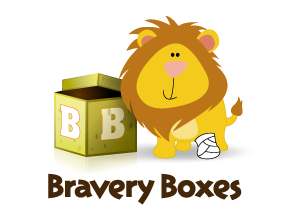 For those who don't know, Bravery Boxes is a small charity that helps children with cancer get through some of the toughest and most painful times. By giving a child with cancer a treat from the 'Bravery Box' when they have to have an unpleasant procedure such as having a cannula or feeding tube put in, in the hope to turn their tears in to smiles. It was started by a mum whose son was diagnosed with a rare life-threatening brain tumour. She could see how distressed he became when he had to have injections, blood tests and a myriad of other scary things, so she started to come prepared for these ordeals. After any kind of unhappy experience she would give her son a little gift or prize for being brave. The idea spread and she started raising money to fill a box so all the children on the ward could benefit. They proudly provide boxes for the paediatric oncology units at Addenbrooke's in Cambridge, and Alder Hey in Liverpool. It really does work!! Staff and parents tell the Bravery Box volunteers all the time what a superb idea it is and how much difference it makes to the children. The parent blogging community have rallied together to help Dial those smiles and raise money to help bring more Bravery Boxes into hospitals and raise more smile for those who need them the most. 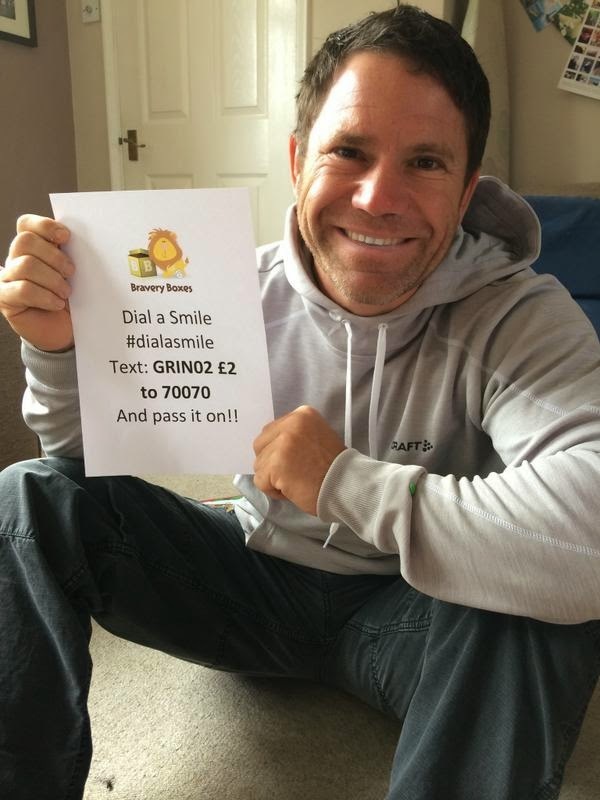 To do this we ask if you could do like the rather dashing (Phwoar) Steve Backshall from CBBC's Deadly 60 has done and share a smile with the world, asking people to donate £2 and share the smiles around the world. Add my photos tomorrow, if you want to add a selfie please do and I'll link to it! A well worth cause Paul.